Gov. Steve Sisolak shouldn’t count on Senate Republican support for his desired tax hike. Collective bargaining for state workers would drive up costs, and Nevada should expand Opportunity Scholarships. That’s according to Sen. Ben Kieckhefer, R-Reno. Nevada Gov. Steve Sisolak shouldn’t count on Senate Republican support for his desired tax hike. 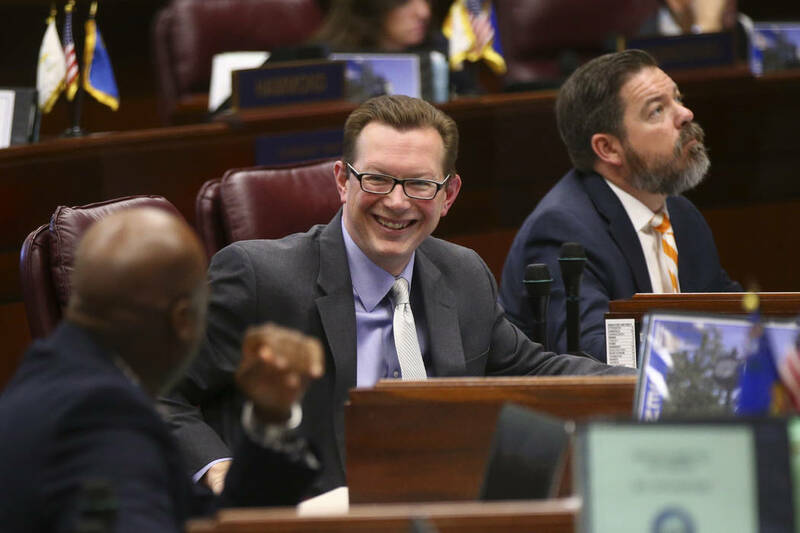 Collective bargaining for state workers would drive up costs, and Nevada should expand Opportunity Scholarships. That’s according to state Sen. Ben Kieckhefer, R-Reno. In his budget proposal, Sisolak wants to maintain a Modified Business Tax rate that is scheduled to decrease. That proposal would require a two-thirds vote in each house of the Legislature, including the support of at least one Senate Republican. Kieckhefer isn’t a fan. Sisolak also proposed allowing state workers to bargain collectively. Kieckhefer sees many downsides to that proposal. “I resist anything that ultimately drives up the cost of operating government,” Kieckhefer said. “Collective bargaining is a demonstrated method of doing that. You see it at the local level where salaries are significantly higher due to those collective bargaining contracts. Also more problematic than just the additional costs is the lack of flexibility government then has to deal with problems as they arise. Collective bargaining for state workers would also “crowd out the ability to pay for additional services going forward” or increase pressure to raise taxes, Kieckhefer said. Same-day voter registration was another Sisolak proposal, which Kieckhefer opposes. One priority of Senate Republicans is expanding Opportunity Scholarships. “We would certainly like to see continued funding to support, not only those students that are currently enrolled in those private schools with the support of those scholarships, but to see that grow as well,” he said. “This is a proven program that supports low-income Nevada families’ access [to] schools that are appropriate to those students’ needs. Kieckhefer did signal a willingness to consider a minimum wage hike, if it was paired with overtime reforms.